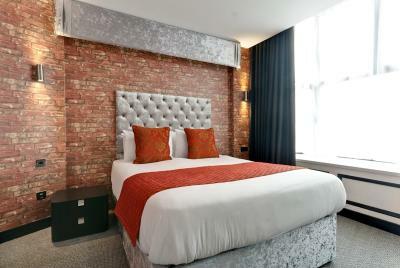 Lock in a great price for Print Works Hotel – rated 8.1 by recent guests! The staff was very pleasant to deal with. Everything was clean. Nothing to complain about really. 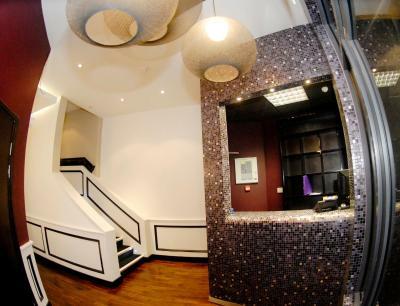 The staff were very friendly, not a far walk at all from the city centre the room we got had 4 single beds and it was a huge room. Good location, comfortable bed. Our room was ready at 1.30. Good location. 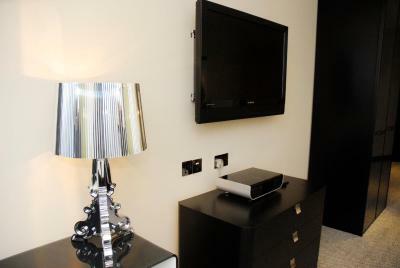 Modern decor in room. Staff friendly and accommodating. 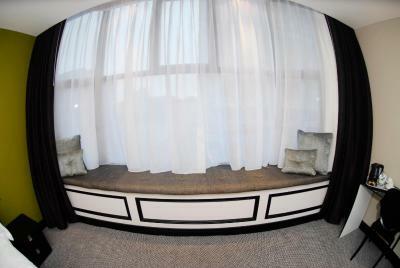 The room was good value for money but because it was in the basement it had no window so there was no view at all. We were aware of this fact when we booked so it still met our expectations. Great value and location. Staff nice and very clean. 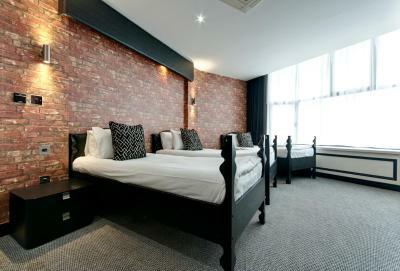 The location was brilliant and one of the few places you can get 4 single beds in 1 room. 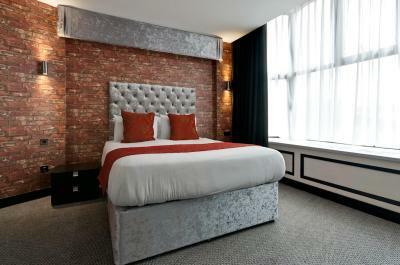 One of our best sellers in Liverpool! 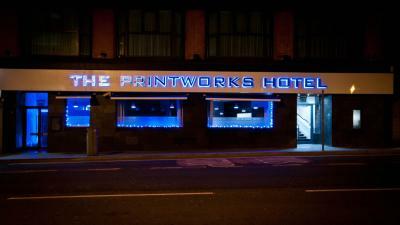 The Printwork Hotel features chic and stylish rooms with a flat-screen satellite TV and free Wi-Fi in all public areas. 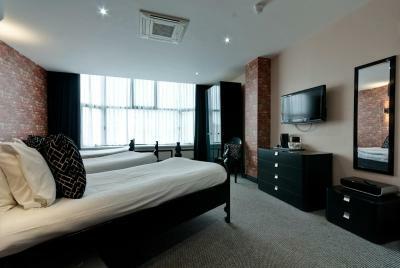 It is just a 2-minute walk from Liverpool Lime Street Train Station, in Liverpool’s bustling city center. 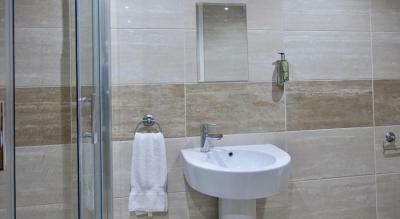 With modern, tiled bathrooms, all of the bright rooms include colorful beds and high quality wood. 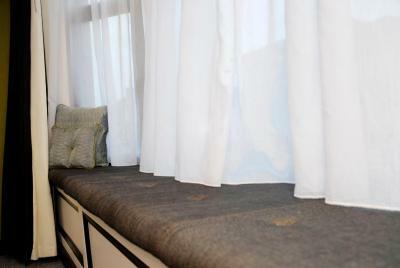 The air-conditioned rooms also feature a hairdryer. 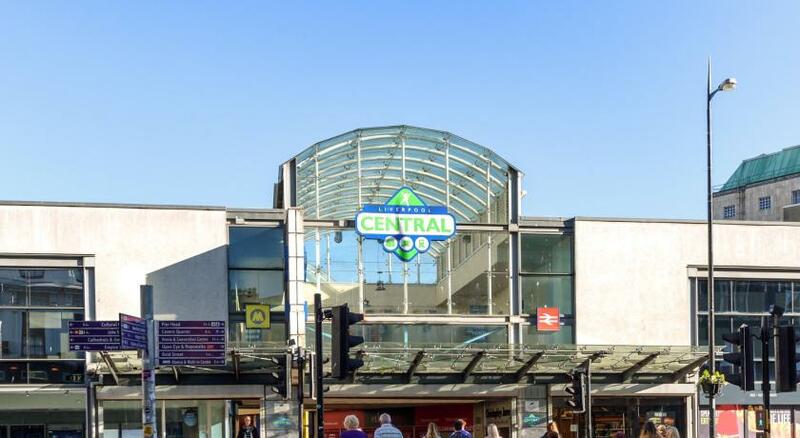 Liverpool ONE shopping center is just a 10-minute walk from the hotel, and Tate Liverpool and The Beatles Story museum can be reached in 15 minutes by foot. 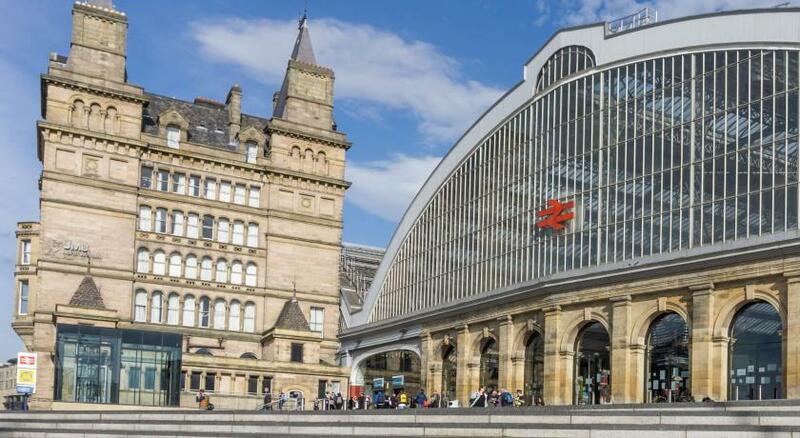 Liverpool's vibrant clubs and shops are a short walk away. When would you like to stay at Print Works Hotel? 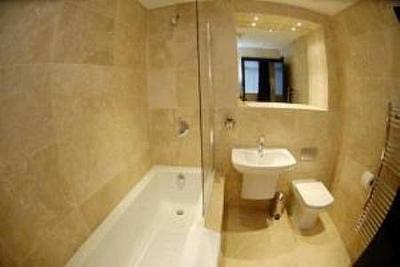 With modern, tile private bathrooms, these bright rooms feature a double bed and a TV. 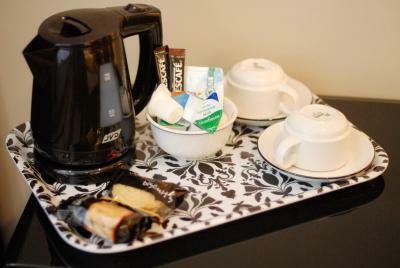 The air-conditioned rooms include free tea and coffee. With modern, tile private bathrooms, these bright rooms feature twin beds and a TV. 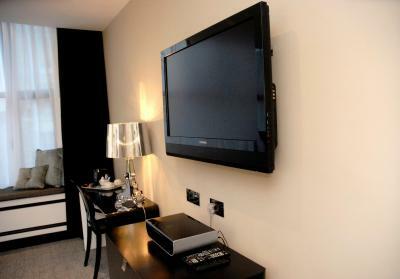 The air-conditioned rooms include free tea and coffee. 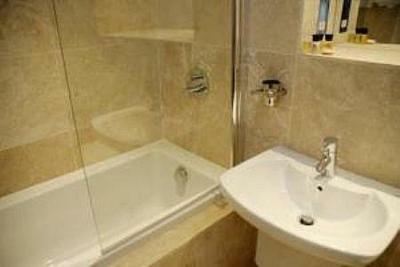 With modern, tile private bathrooms, these bright rooms feature three single beds and a TV. 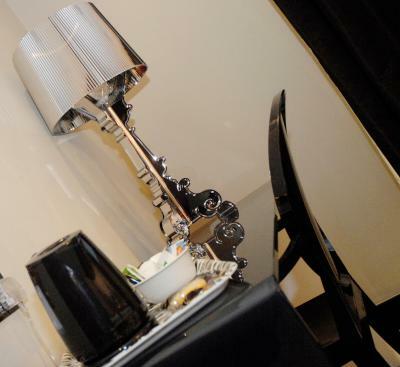 The air-conditioned rooms include free tea and coffee. With modern, tile private bathrooms, these bright rooms feature four single beds and a TV. 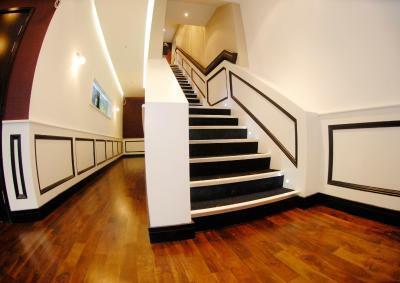 The air-conditioned rooms include free tea and coffee. 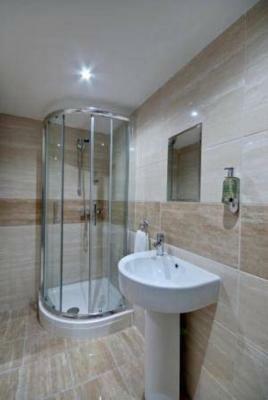 With a modern, tiled private bathroom, this pod room is on the lower ground floor and features a flat-screen TV. The air-conditioned room includes free tea and coffee. 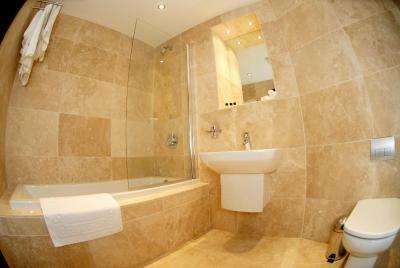 With modern, tiled private bathrooms, these rooms on the lower ground floor feature a flat-screen TV. The air-conditioned rooms include free tea and coffee. 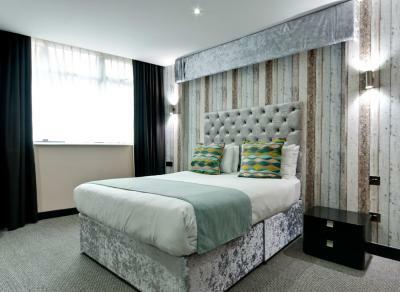 This room includes a double bed and a single bed for up to 3 adults. House Rules Print Works Hotel takes special requests – add in the next step! Print Works Hotel accepts these cards and reserves the right to temporarily hold an amount prior to arrival. Payment in cash on arrival can be accepted, provided a valid credit card is used to guarantee the booking during the reservation process. No enough toiletries. 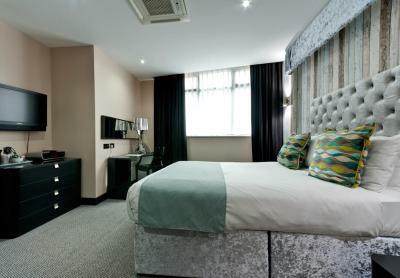 The double beds were 2 single beds together which parted abit during the night. Couldn’t get a bath as was broken inside. Staffs are very friendly. Good service mind. 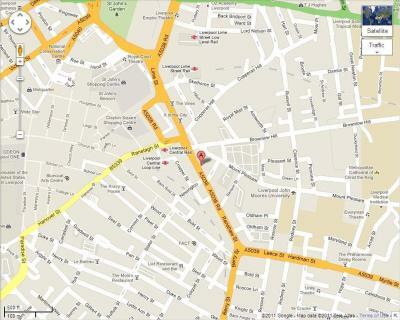 Location, many international resturant in around. It was clean and exactly what u want for a place close to the city. The electrical outlet would work on and off. We were in room downstairs no window and very noisey in morning heating unit didnt work and with no window felt claustraphobic. There was no cold water unfortunately, so I couldn't have a bath but other than that, everything was amazing! Location was great, breakfast was unreal and amazing value for money, and the staff were amazing, welcoming, funny and really attentive to your needs. The bed was hard and uncomfortable. 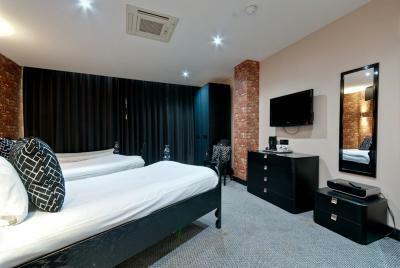 The room was very well priced, clean and pleasant. Room was extremely cold in the basement- complained twice no one did anything. Shower very small and was dripping. One light for whole of room - no bedside lights. No hairdryer. Fan in bathroom was on constant. Eventually went off at 11.00. Very noisy could here people having showers and walking around. At £160 for the night and no window. Disgusting. Marks on mirror and other furniture. Tv remote no back to it. No cup for water near sink. Hardly any room in wardrobe. Will definitely not be coming here again.